Outside of direct government funding, including funding for the high performance program and associated HP youth pathway, the ISA is predominantly funded by what amounts to a flat rate tax on club membership. The good thing is that this secures enough funding and gravitas for the ISA to represent the sport at a legal and legislative level and it gives every member of a club automatic access to the benefits of ISA membership. The bad thing, from a dinghy perspective, is that it also means that ISA thinking is dominated by the 7–8 clubs whose size means their contribution is by far the greatest. These clubs also tend to be the clubs predominantly involved with keelboat and yacht racing. With very few genuine national classes at present and problems accessing venues for classes with small, or even relatively healthy, fleets there is a lot to be gained from pooling resources. As seen with the recent addition of the Moth to some of the Fireball traveller events with suitable co-ordination events can be shared. The RS class is another example of how classes can combine to advantage, as historically have the Jack Holt boats. A lot of what's needed could be done without the formation of an IDRA but a forum is clearly needed at least for the time being. I highlighted some of the good things going on above but it shouldn't be left to 'knowing someone who knows someone'. Don't get me wrong but the dinghy classes have a lot to prove in terms of working together. Some classes, ironically the ones left standing, don't have a great track record of working well with others. To take a place at the ISA table the dinghy classes, and the clubs whose primary activity is dinghy racing, need to combine and show that they are capable of putting forward a well-supported and co-ordinated agenda. If you are looking to get involved in dinghy racing in Ireland there's next to no information on the health of dinghy racing in Ireland and no information on which classes offer the best prospect in terms of healthy local and national sailing. Any class that's organised enough to muster up the €150 annual fee can join the list of ISA affiliated classes. The needs of classes in different stages of development are different too and having a clear understanding of where each class is can only help focus attention on where development is needed and support should be given. The way classes come and go in terms of volunteer strength and equipment improves as time goes on means that, as well as being next to impossible from a practical perspective, it's not appropriate to look to dictate equipment at a national level. Sailors and clubs will choose what they believe is best and room for new classes needs to be allowed or there is a risk of exclusion. To balance all of the above the ISA should distinguish between the following categories of class with in its affiliation. There is nothing to force a class to reach a given standard but the ISA should offer support to classes based on them having reached a certain level of organisation. 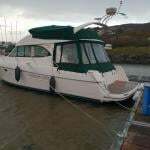 · A class builder or dealer in Ireland. · A National Championship in the last 3 years with 20 Irish boats or more than 15 Irish boats in each of the last 3 years with publicly available results via the web. · Their National Championship run by a nationally or internationally qualified Race Officer and Jury Chair. · Club fleets in more than one province. Average of 5 or more finishers in racing with results published on the web. · A traveller series with events in more than 2 provinces a year. That's quite a tough ask but it's also a reasonable list in terms of what a dinghy class needs to do in order to establish itself. · An historic national or local significance. · Strong local support in at least 1 location. Average of 5 or more finishers in racing with results published on the web. To be honest if a class can't satisfy this then should they be recognised by the ISA as a class? Dinghy: IDRA14, SOD, Water Wag, Mermaid and National 18. Keelboat: Howth 17, Glen and 1720. Dinghy: Multihull, RS400, RS200, Drascomb Drabber, 505 and Wayfarer. Keelboat: J109, 31.7, Flying Fifteen, E-Boat, Etchells, Puppeteer, Ruffian, Shipman and Sigma 33. The same thing should be done for the clubs. Coming from outside the sport would you know where the strongest dinghy clubs are? Skerries, Malahide, Monkstown, Killaloe and so on. There are only so many experienced sailors in the country and inevitably they leave the sport for personal reasons all the time, only some too return later. A large number of those are event focused and move from class to class based on which is currently running a major event. Arguably the senior graduates from the HP pathway feed directly into this group too, those that aren't emigrating. To grow a class the primary focus needs to be on grass roots sailors buying a boat for the long term and in this respect a young sailor continuing in the sport as an owner of a dinghy is better than one continuing as a crew of a cruiser racer. With a deservedly well-funded high performance program an HP youth pathway is a fact of life. It takes in a large number of kids and spits out nearly all of them along the way. For a while they live the dream but what happens after that? We tend to think only about the issues we see in our sport, but in fact the same issues seem to occur in youth sport as a whole. Internationally by age 16 two thirds of kids have given up competitive sports like football and rugby for non-competitive sports like surfing and kite surfing. Team sports buck the trend better than individual sports. That would support the case for double handed classes for kids not continuing on to Olympic glory but not that for including racing and log books earlier in the pathway. If you leave kids in the pathway until the end the figures don't look great. 80% drop out at the point the purchase of a boat is required and a further 12-13% are gone by the time they reach leaving cert age. I would argue that an effort is needed to get kids who can't afford a boat of their own into crewing in adult classes and into adult classes in general as soon as they are physically able. Why? 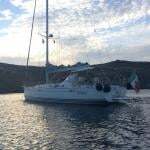 Adult classes provides a continual involvement in sailing the stretches beyond the 2-4 years a child will typically spend in a single youth class. The clubs boats typically used for training provide a means to an end and allow training centres to cater for the large numbers of people interested in giving sailing a go but they are next to useless in terms of delivering a fulfilling on the water experience thereafter. While not enough is being done to capture the interest of those falling out the HP youth pathway, either to transition kids into more suitable classes or into adult classes there is also an issue of parental expectation. In terms of the long run a sailor may be better off in an adult class as soon as they are physically able but in the short term the adult classes need to address the level of additional activity and support that sailors get corralled into a junior class. All those parents add up to considerable additional volunteer effort. To be successful in taking young sailors from the HP pathway clubs and adult classes need to welcome the parents and give them a positive role. In reality these are issues for the clubs and classes to address themselves but the ISA can help greatly by providing some glue. A national database of people coming through the training programmes would provide the clubs and classes with an invaluable list of people to contact when they are running open or try/buy days. The old adage that club fleets make classes and class captains make club fleets still holds true. · Time efficient and easy access to the water when being on the water, rather than quality of racing, is the priority. At the heart of every thriving club fleet is an energetic class captain. It's a hard job, volunteers are thin on the ground and too often a new class captain has to learn on the job. In the time it takes to get up to speed fleets can die. There are a number of eminently successful fleet builders in the country, some with experience managing international class associations. Their knowledge needs spreading so that every class captain in the country knows what's required to build build build and where one person doesn't have the time or resources to do what's needed then the work can be shared rather than go undone. As a central body the ISA is well placed to pull together and share best practice, offer training as it does with race management or rules or even set up a mentoring scheme. Classes can survive for a long time on second hand boats and UK imports by single owners but if a class is to grow in the way need to rejuvenate dinghy sailing in Ireland then new boats are required, not only to increase the fleet size but to trickle down boats so that good second hand boats are available for people looking to enter the sport. The issue is that, for example, a new GP14 with sails and trailer currently costs in excess of 10k, a Fireball double that and to building a new boat for one of the historic classes above 20k is the starting point. That 20k will buy you a fleet of 8 refurbished Fireflys with change shows the potential power of group purchasing. The SB20 fleet is another example of what can happen when a solid fleet purchasing scheme is in place. At present the dinghy scene is, perhaps, too fragmented to co-ordinate such an effort. The ISA has shown with the SailFleet scheme that it has the ability to do a deal and in the current economic climate the national governing body is potentially the only route for securing capital support for such a scheme. A similar scheme could easily be arrange for the purchase of sails. Such an effort should be focused on the national classes, as defined above, which have the basic essential infrastructure already in place to sustain dinghy racing at a national level. Develop the class captains of local classes to enable them to build up their class to national standard and then support the national classes to get boats into people's hands.